Nichole joined DYNALABS in August 2017 as Director of Quality & Regulatory Affairs, Nichole was responsible for daily operations as well as corporate projects related to quality and regulatory compliance. She was promoted to Vice President of Operations in November 2018. Nichole has ten years of experience working in quality and management roles in pharmaceutical, medical device and food industries. Her experience includes quality management, product development, cGMP, SOPs, CAPA, OOS investigations, and ISO and USDA accreditation in highly regulated industries. She has worked extensively with pharmaceutical manufacturing, quality, product development, validations, and product specification. Nichole’s exceptional communication and analytical skills are driving DYNALABS’ quality assurance to the next level. 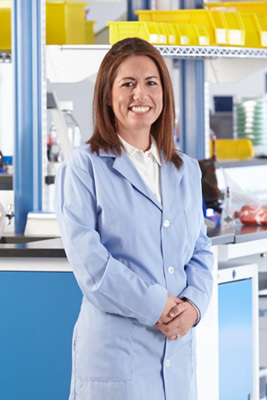 Nichole’s experience includes working at Deibel Laboratories as a Laboratory Manager, BioMérieux as a Quality Assurance Engineer, Pfizer as a Microbiology R&D Quality Senior Consultant, and Ronnoco as the Quality Assurance Manager. Nichole received her Bachelor of Science in Biology, with an emphasis in Biochemistry from Southern Illinois University. She holds Forensic Science (Forensic Chemistry and Analysis) certification from Saint Louis University.